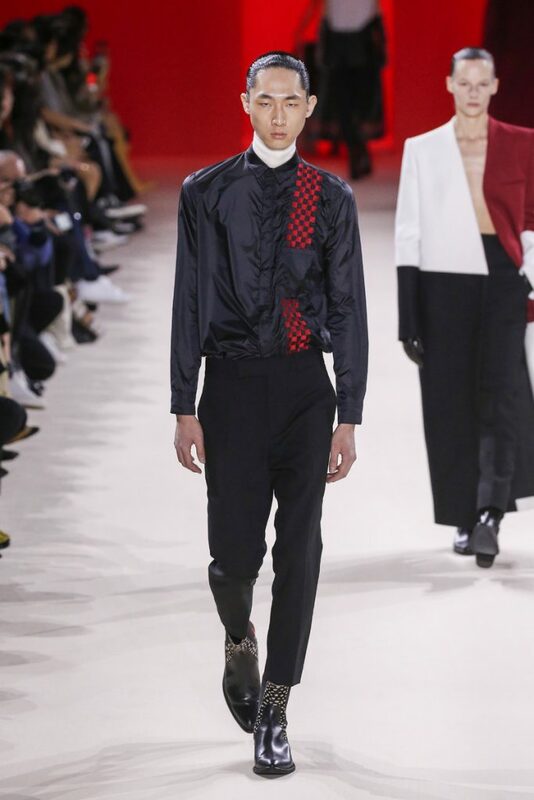 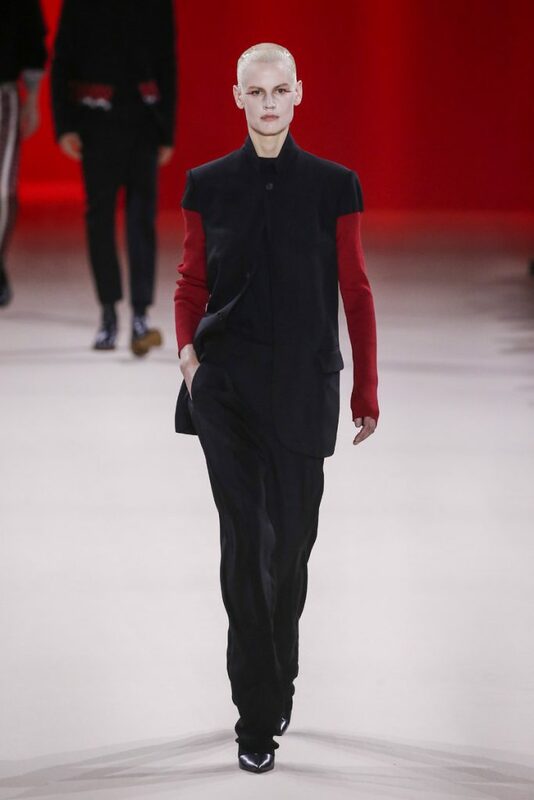 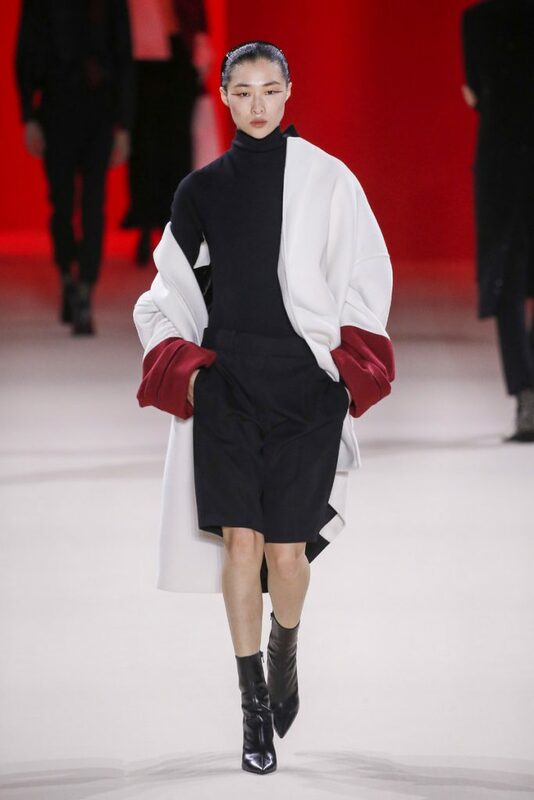 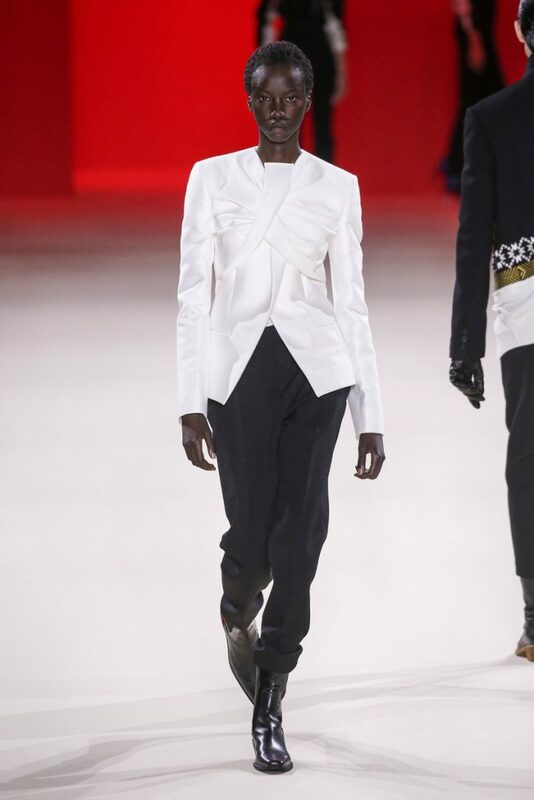 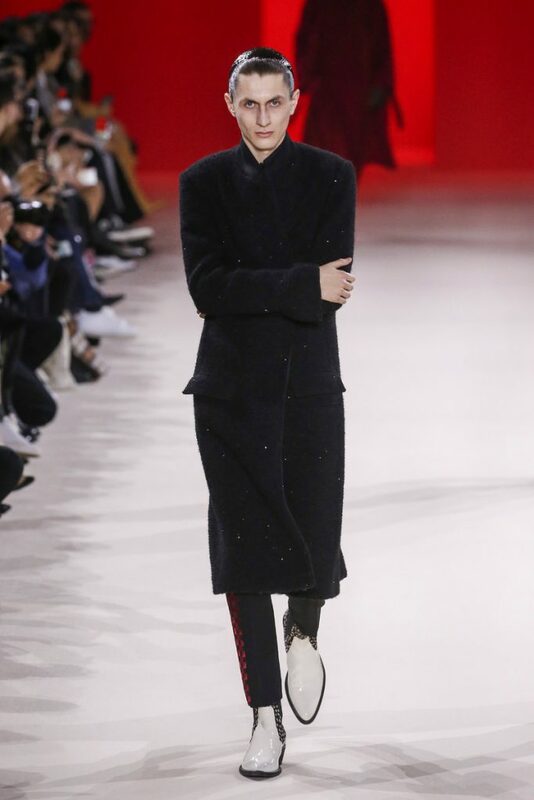 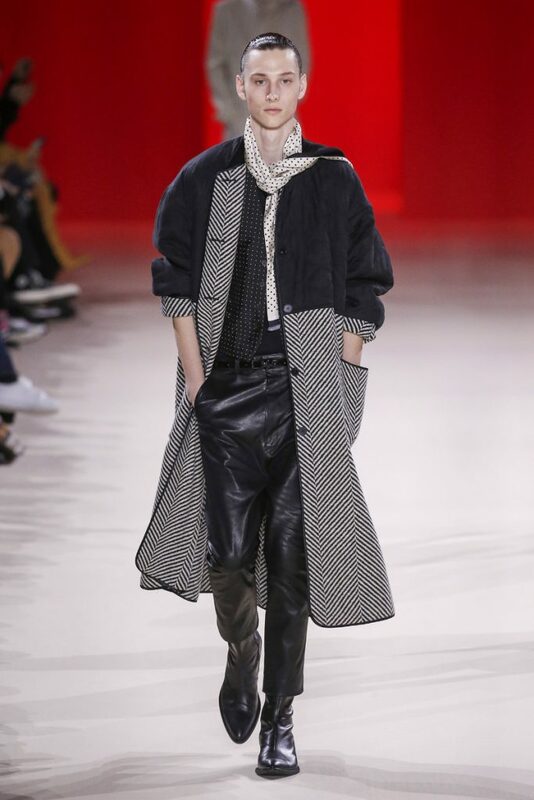 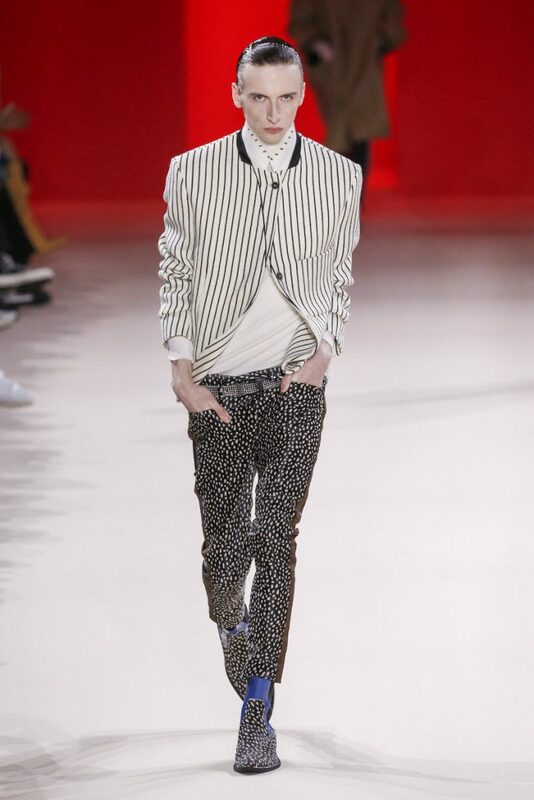 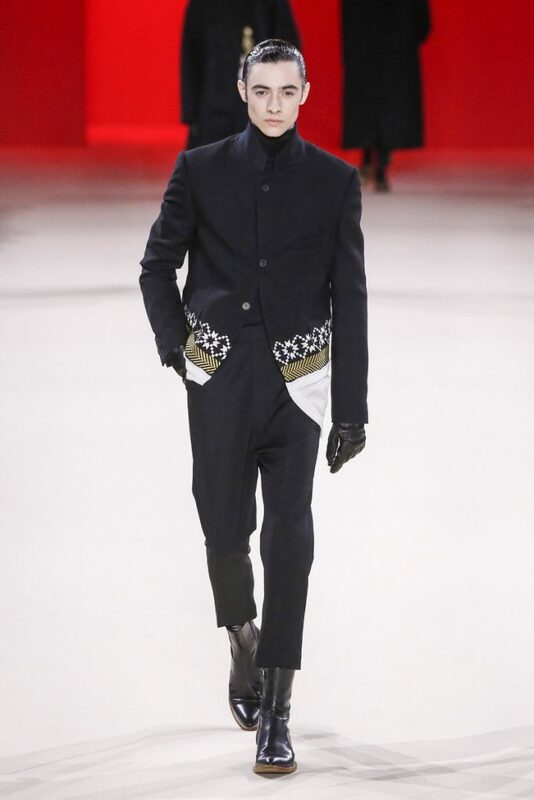 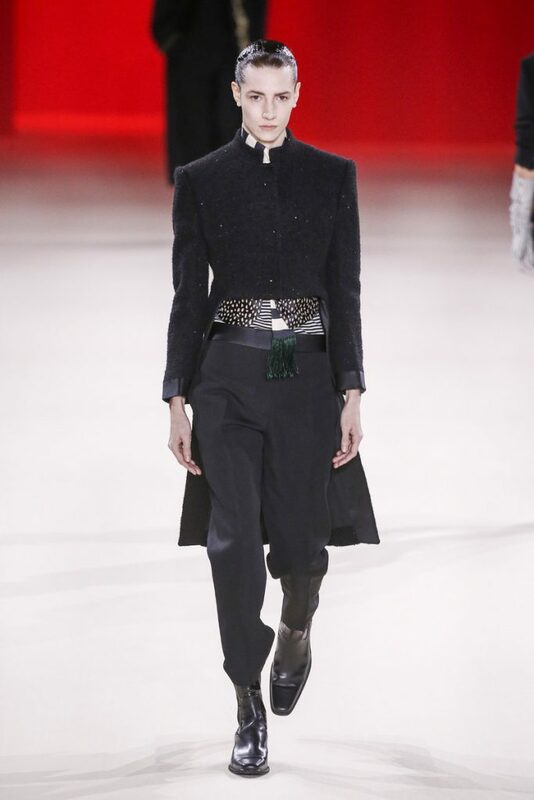 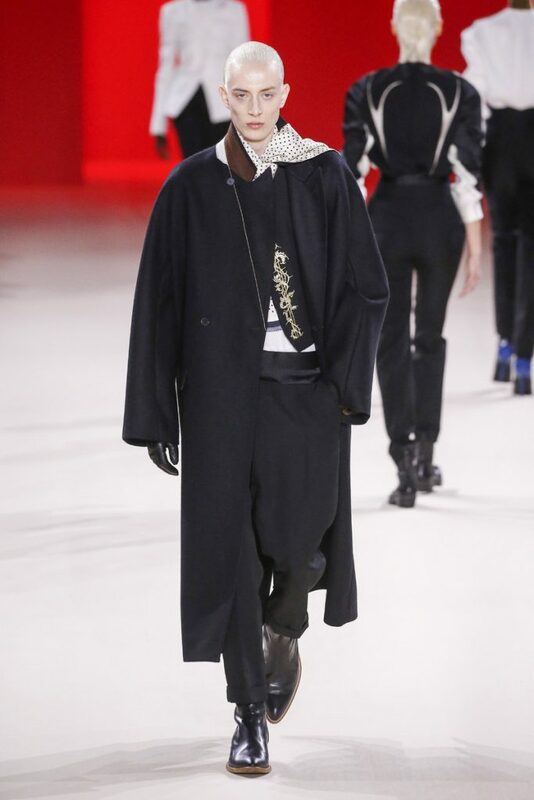 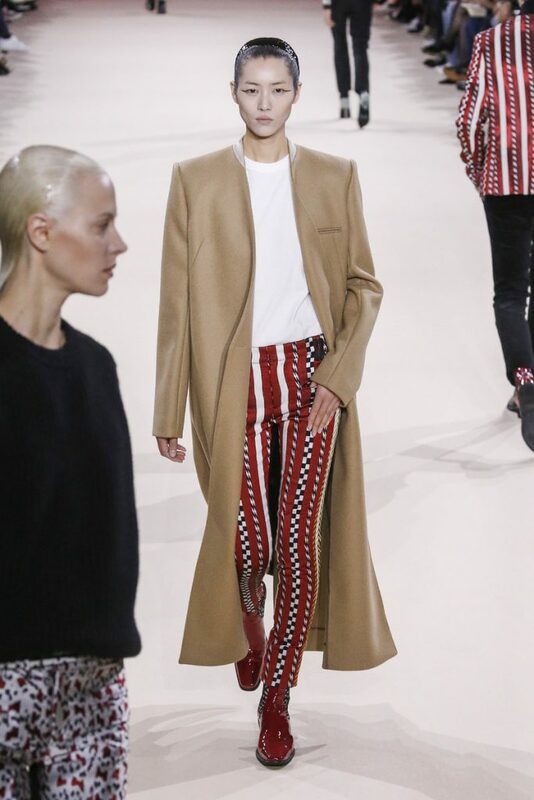 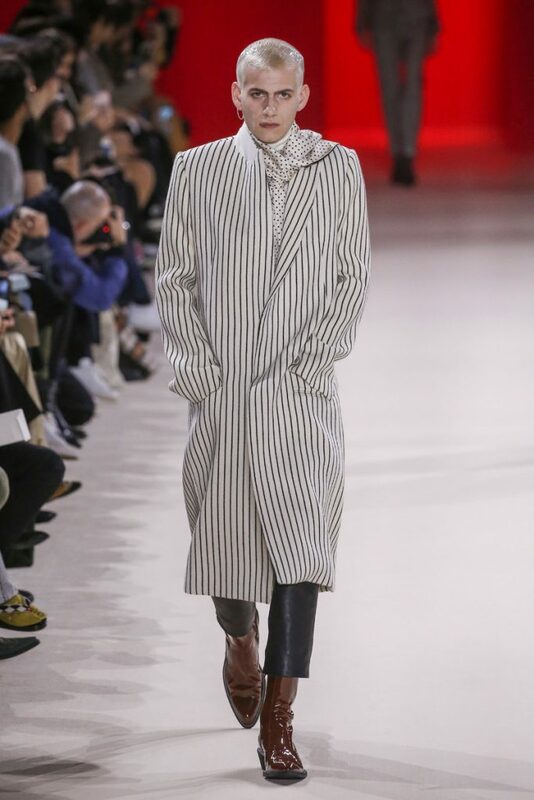 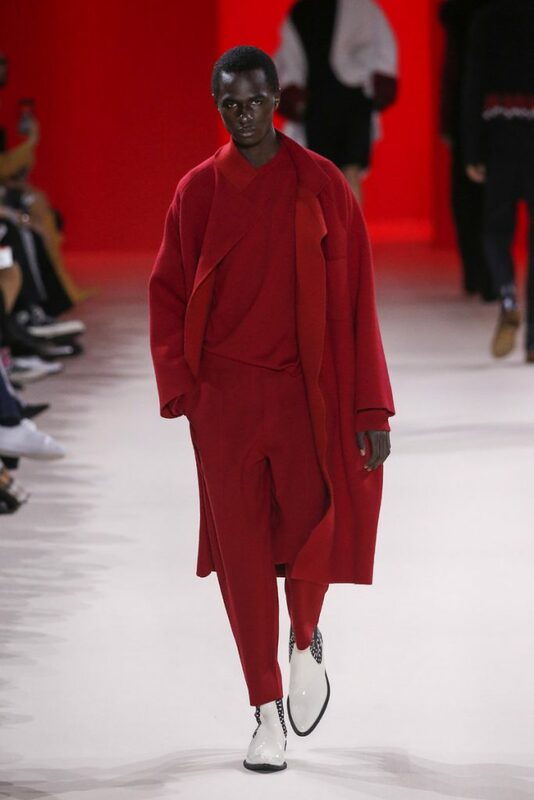 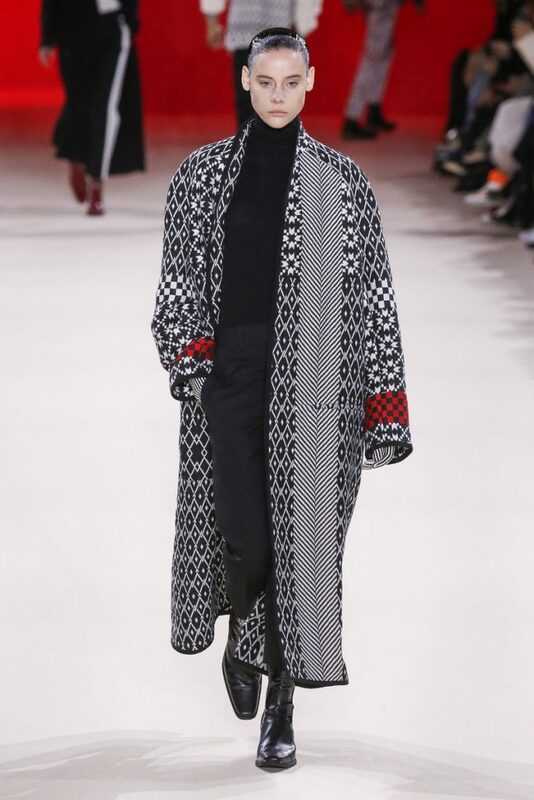 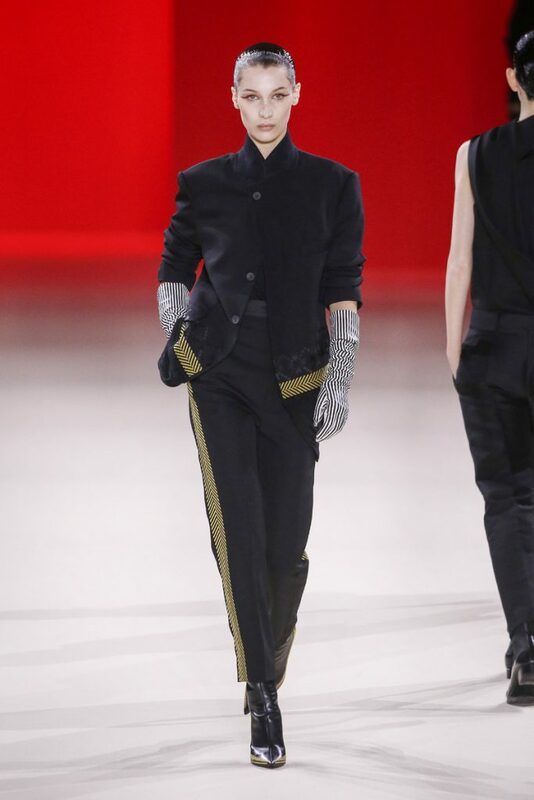 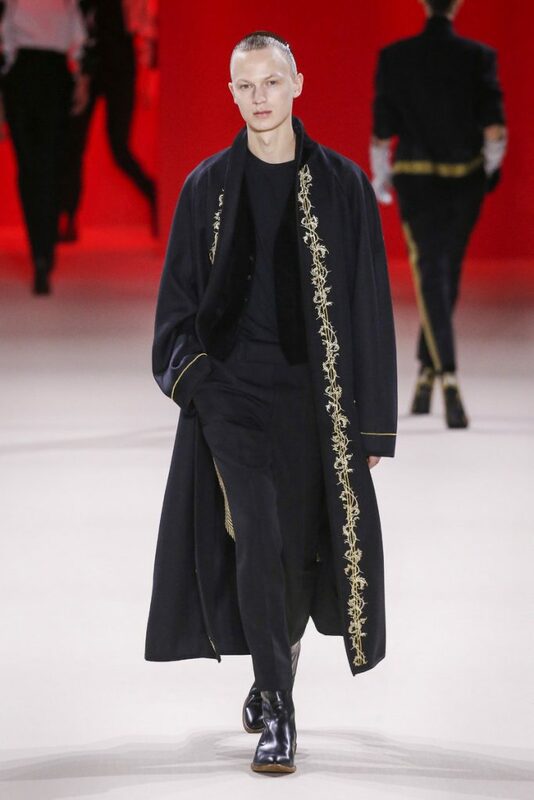 Boys and girls walked the Haider Ackermann runway on Saturday. 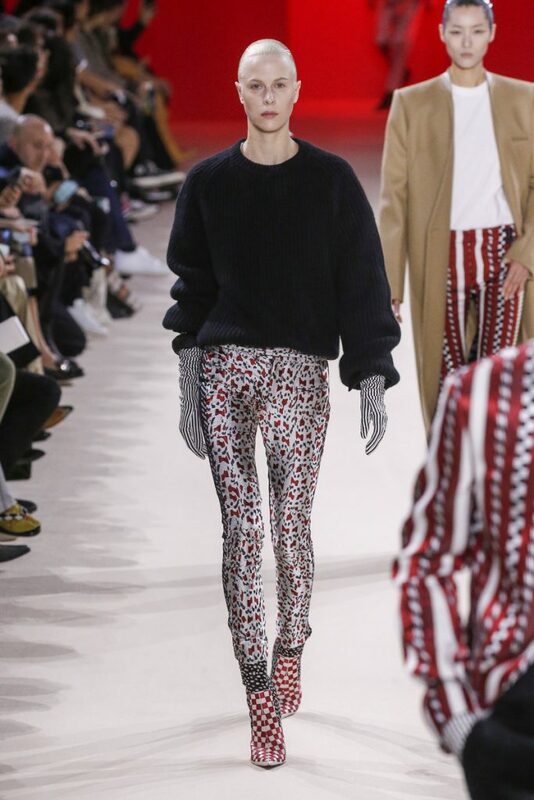 But it was hard to tell them apart from a distance. 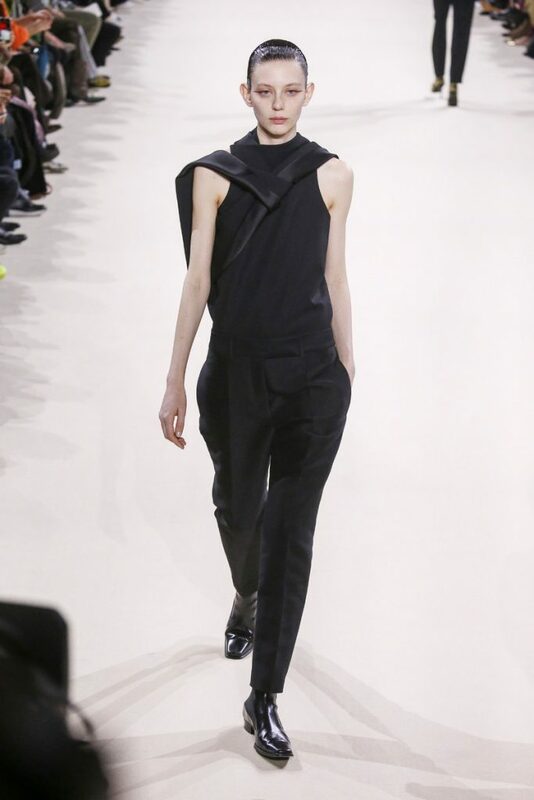 Apart from a subtle eyeliner the ‘beauty looks’ were the same. 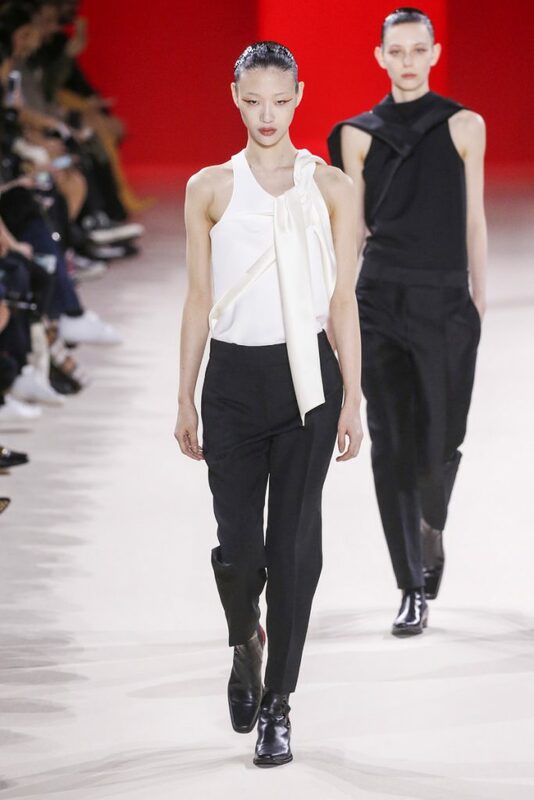 No make-up and slick hair worn backwards. 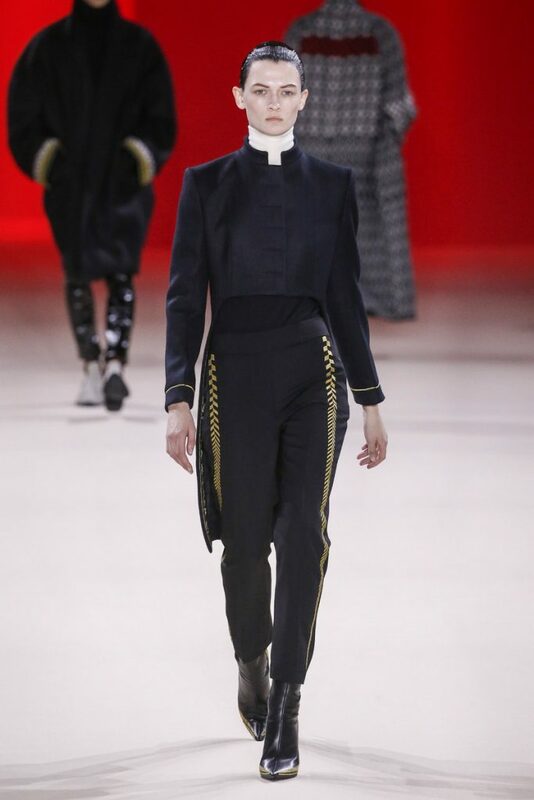 The clothes were interchangeable as well. 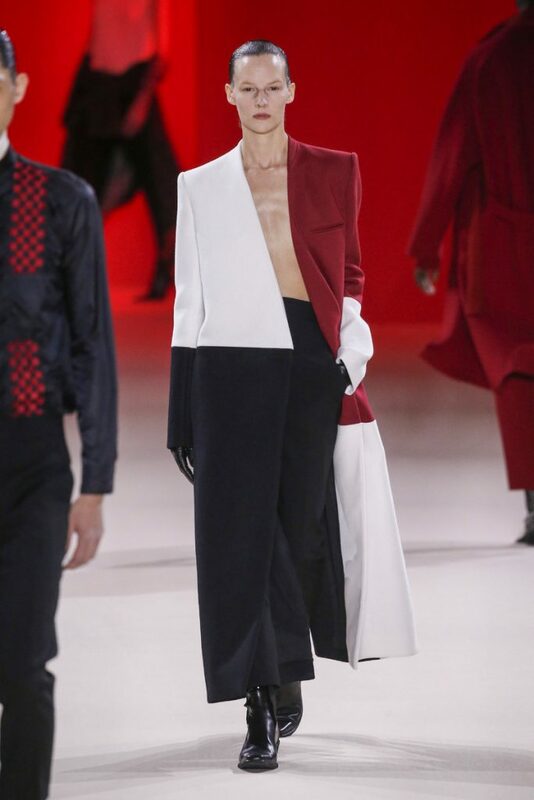 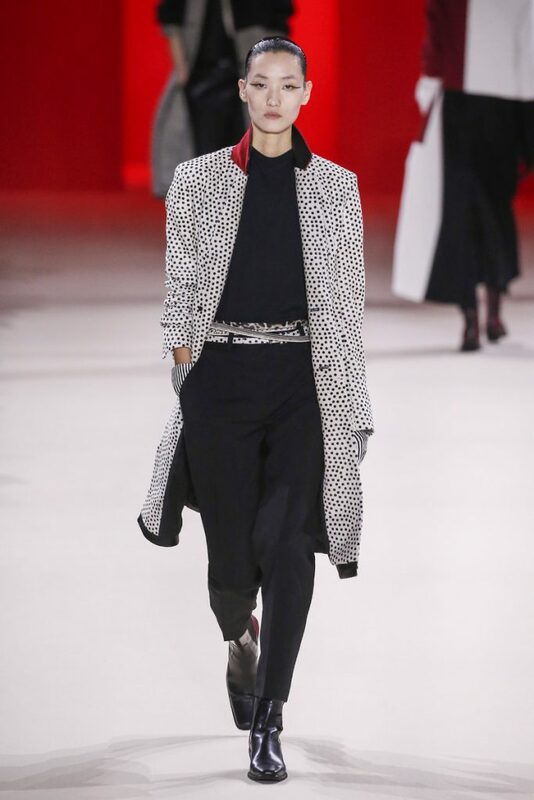 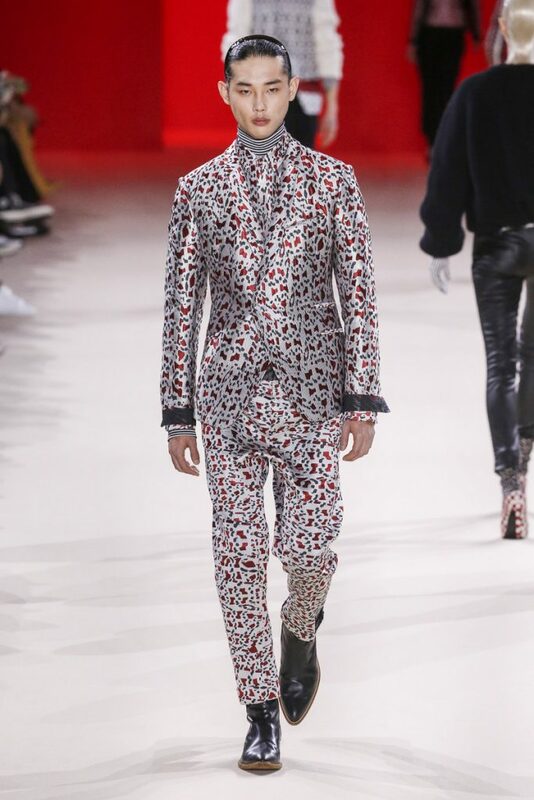 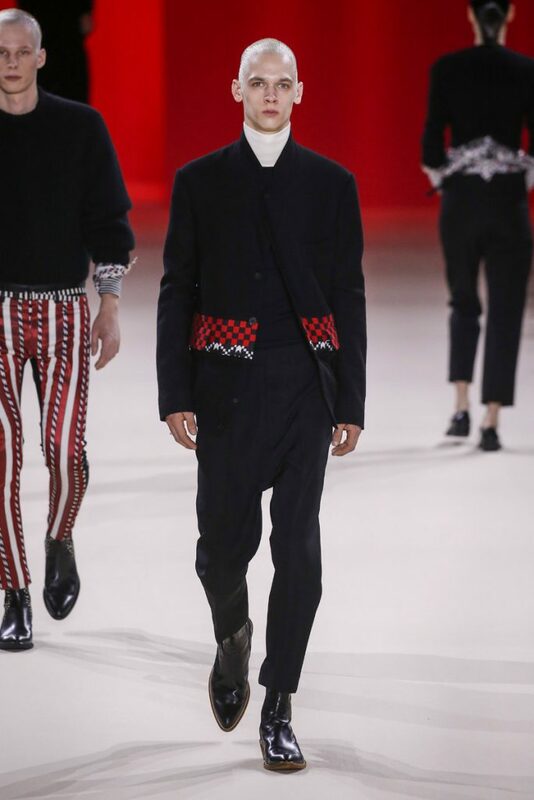 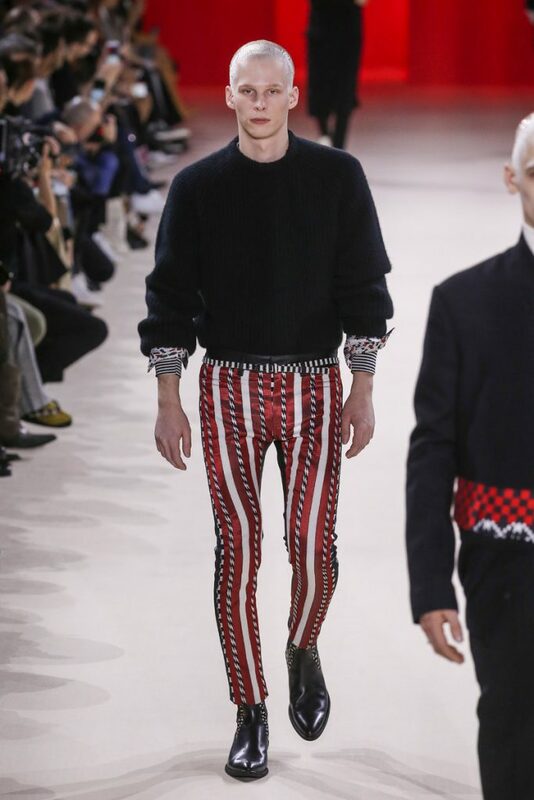 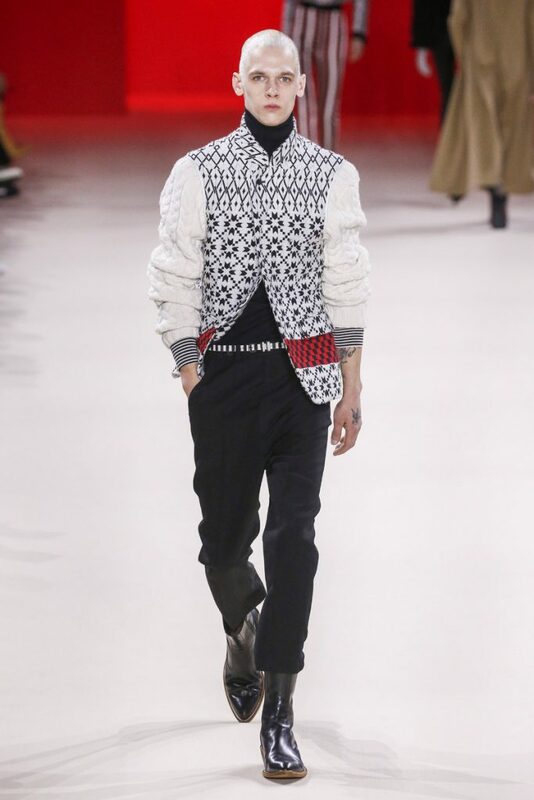 Tailored trousers and sharp cut jackets in (mostly) black, white and red. 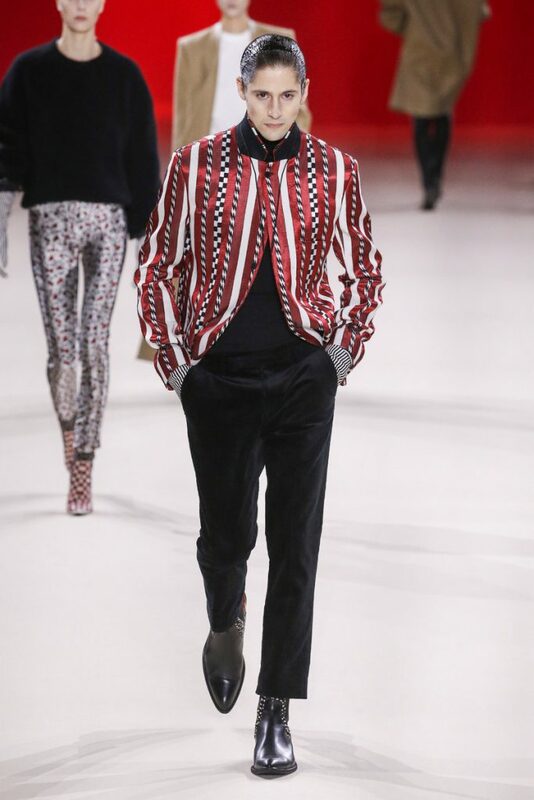 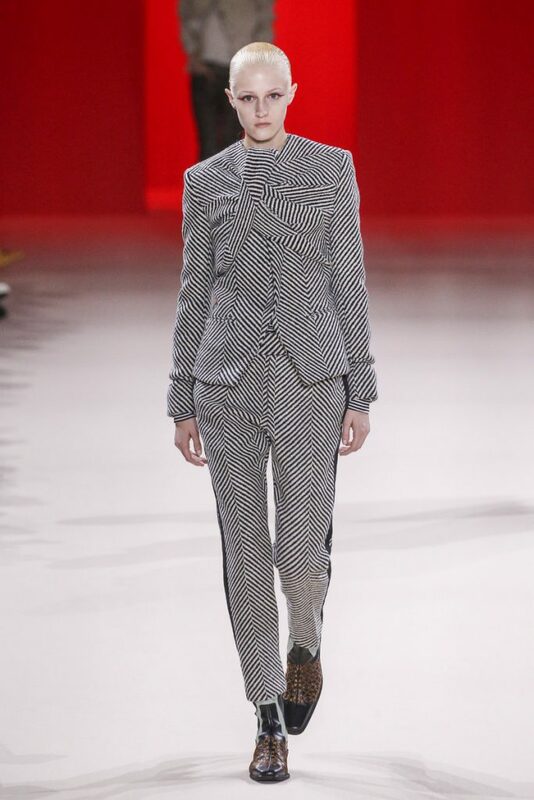 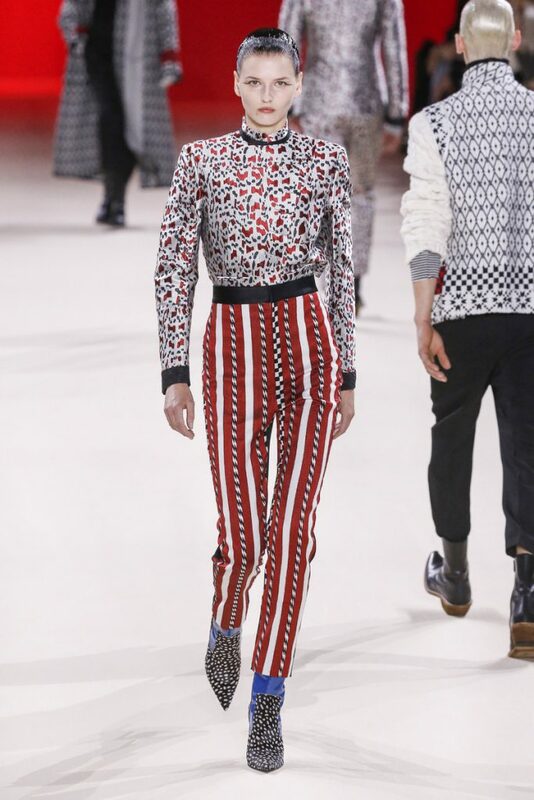 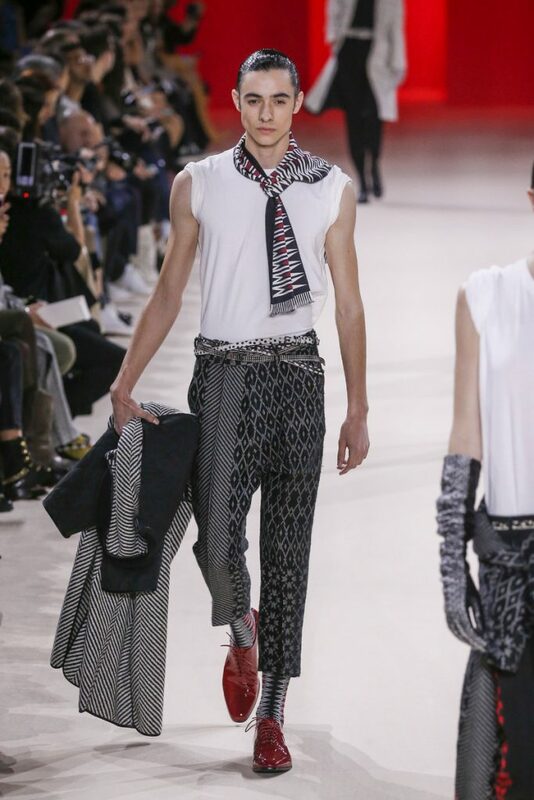 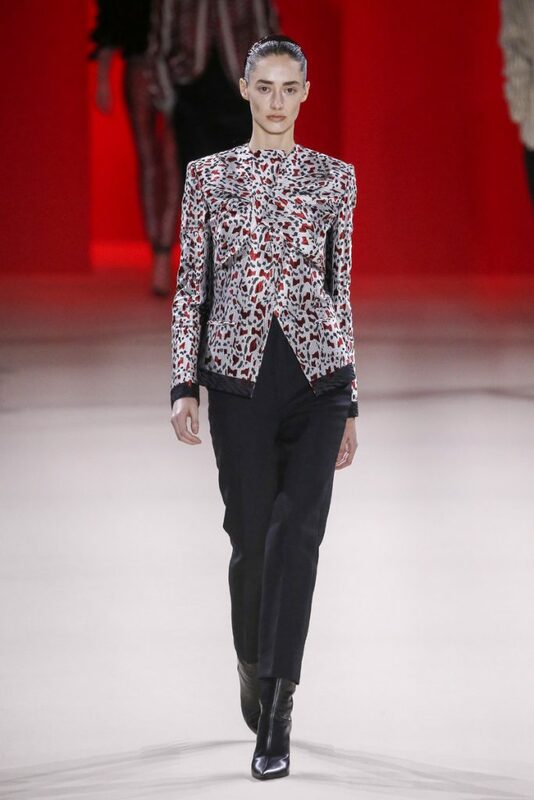 Stripes, checks, jacquard patterns and polka dots gave the collection it’s signature touch. 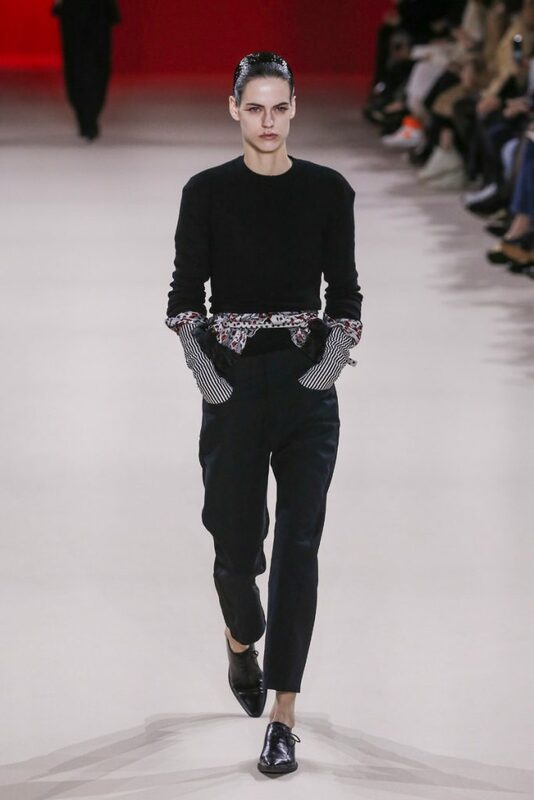 Props for the high waisted pants and the strong shouldered sweaters. 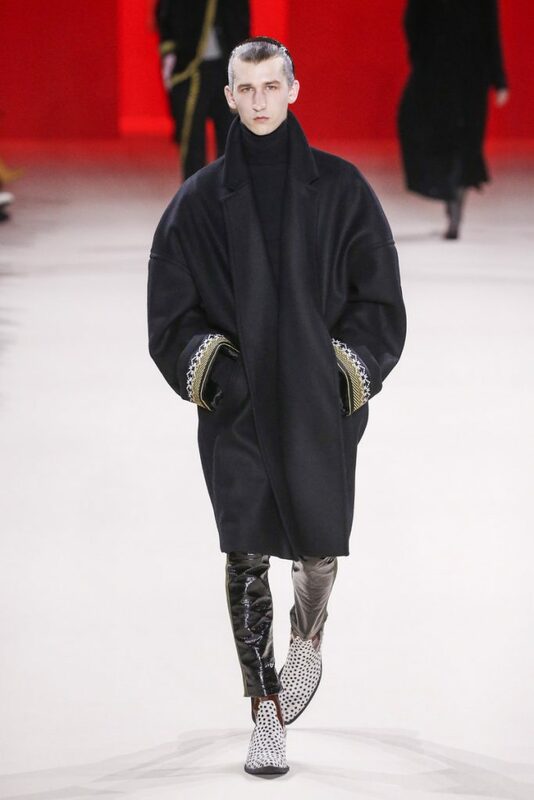 And the biggest round of applause for those oversized coats. 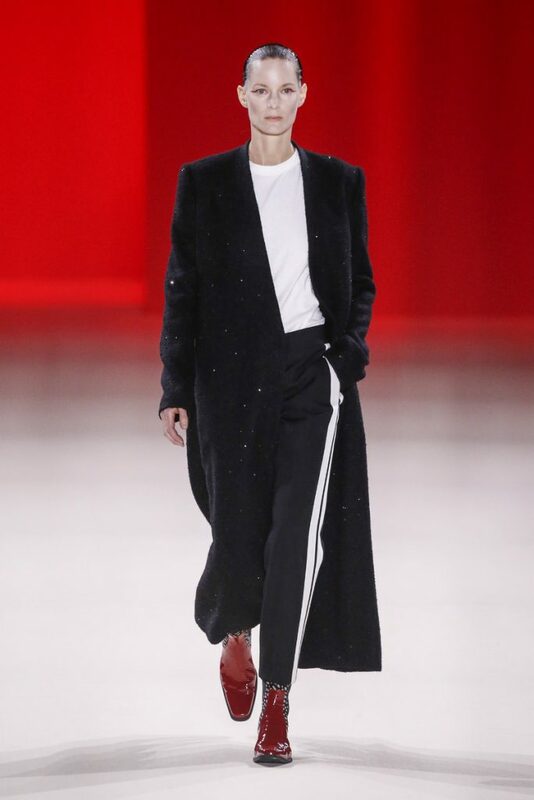 Simple, yet stunning with just the right touch of detail to them.